Part of the “American Dream” is to send children off to college after high school. We envision them living in dorms, enjoying the true ‘college experience’, learning and growing into adults. The reality is that some children aren’t ready for that independence. Many college students return home after a semester or two of college, usually because of failing grades, lack of friends, or simply too much partying. 1. Does your teenager wake himself/herself up in the mornings for school? This is the first sign of independence. Teens should have and use alarm clocks and be self-reliant to get themselves up in the mornings. I know, I know, parents are now shaking their hands, whispering that their teen isn’t a ‘morning person’. I have a lot of experience with teenagers and have 4 children, 3 are teenage boys. Yes, teens like to sleep, but that should not be a reasonable excuse for Mom or Dad to continue waking up a 17 or 18 year old. 2. Does your teen know how to wash his/her own clothes? How much detergent to use? How to sort? I’m always surprised when college student complain about dirty clothes or bring home all their laundry for Mom to wash on holidays. How is that helping your child become a responsible adult? High school is the time to be showing them how to use washers and dryers and then ensuring that use them every week. 3. Does your teen know what to do in the case of sickness? For example, would he know what medicines to take, when to go to the doctors, how to make a doctor’s appointment? College students are going to get sick: they are in tight quarters with new people with new germs. They shouldn’t be calling home with every cough and sniffle. Teach teens what medicines to use for which symptoms, how to use a thermometer, and when their symptom warrant a trip to the health center. 4. 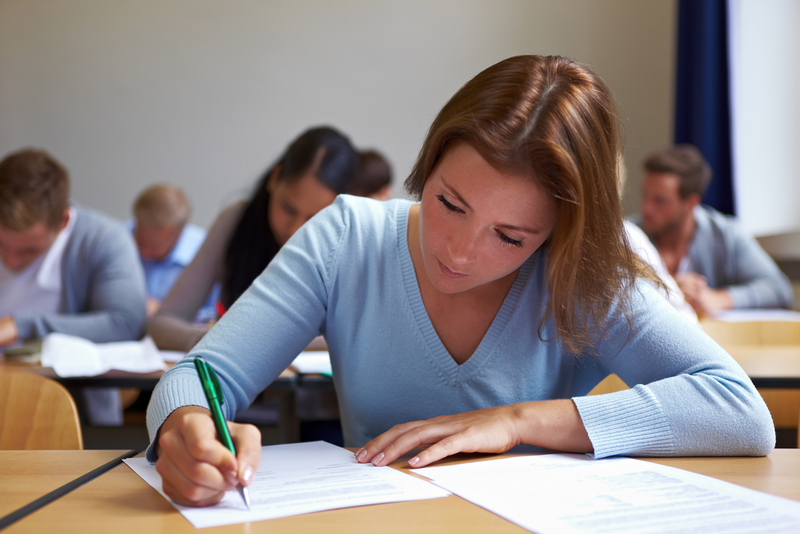 Does your teen successfully manage his or her own studies? This would include scheduling their own activities, class projects and homework. If you have to ask if homework is done, if you’re checking online grades to keep them caught up, if you’re micro-managing projects and supplies, the answer is no. 5. Does your teen know when and how to NOT submit to peer pressure? Teens who know when to say “sorry, I can’t go to that movie, I have a test tomorrow” are much more successful at college when distractions abound. If your child is constantly using social activities as excuses for why things didn’t get done, your answer is no. 6. Does your teen know how to read and navigate a map? Be careful here, don’t just say yes because they use Google maps or their iPhones. The ability to get from one campus building to another in just a few minutes will be key in a few months. I have witnessed far too many students completely lost on a college tour and unable to use the directory or maps. 7. Can your teen make meals and snacks for himself? Many parents think that this isn’t important because college students have a meal plan, but what about times when the cafeteria is closed? What will happen after college? People shouldn’t live off pizza and cereal for the rest of their lives. 8. Does your teen do a weekly chore without a reminder? This proves the ability to remember or write down important things, which is a very important tool in college. If your teen can’t remember to take out the trash once a week, how will he remember to check the mailbox at college? 9. Do you let your teen handle it if he has problem with a teacher? If you “help” every time your teen has an issue with a teacher, a missing assignment or a confusing project, you are not doing him any favors. You won’t have that option with professors so teach high school students to talk to their own teachers about these issues. 10. Does your teen have a checking account or debit card that he or she handles independently? The best time for children to learn how to manage personal finances, how to budget their money and how to spend responsibly, is under an adult’s supervision. College students will be bombarded with credit card offers and arenas to spend lots of money. Parents can provide a debit card during junior and senior years of high school so that teens can learn to budget their money. This should also decrease the number of phone calls home during the first year of college asking for money! Parents, add up how many questions you answered YES. Great job Mom and Dad! Your student can be successful living on his/her own. You may want to work on the remaining 1-2 questions though. Your child is mildly independent. If you have time before college, start working on the questions that got a “no” answer to.If you don’t have time before college, work on these issues during college holiday breaks and summer breaks. Your teenager is not independent. If he/she is younger and you have enough time before college, start working on the issues that got a “no” answer.If there is not enough time before graduation from high school, maybe you should consider a community college or local college while he/she gains living skills. Another option is a life coach or college consultant who can help students adjust to college life. Many college consultants, such as myself, are willing to continue working with college students on issues such as independent living, finding campus employment, interviewing for internships, handling issues with professors, and scheduling courses.